Even if you change your hairstyle or wear glasses, the creators of the new iPhone X ensure that with your facial recognition system you can start your mobile. The flagship product of Apple, presented on Tuesday in California, comes with an end-to-end screen and no start button. iPhone X is built with steel and glass and will be available in two colors: black and silver. 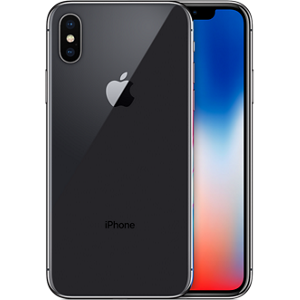 Face ID in iPhone X is a new form of access to the mobile phone based on the facial recognition of the users and which represents an evolution with respect to the tactile Touch ID method. 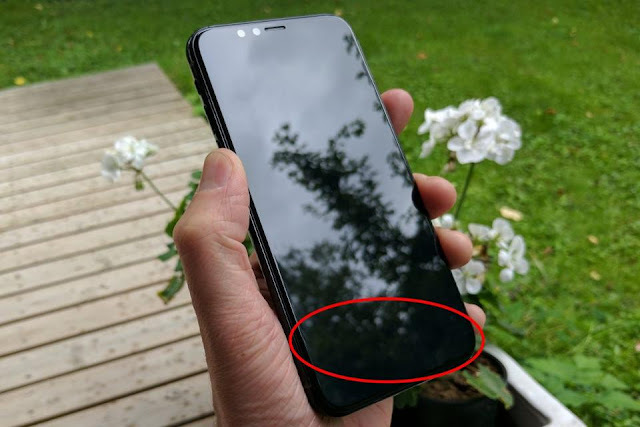 In the iPhone X - as the number of years since the first model of this cell phone came out - the frame is barely visible, except for a small part that houses the headset and the front camera. The screen of the iPhone X - which is expected to cost US $ 999 in its most basic 64 GB model - will also have OLED technology on its screen (organic light emitting diode). In contrast, Note 8, Samsung's new phone, is on the market at US $ 930 with a similar capacity of 64 GB. 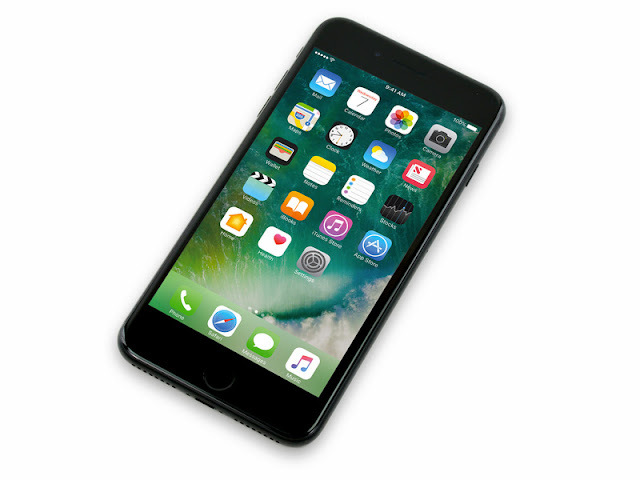 The iPhone 8 has a size of 5.8 "inches (14.7 centimeters) and is provided with a higher resolution. 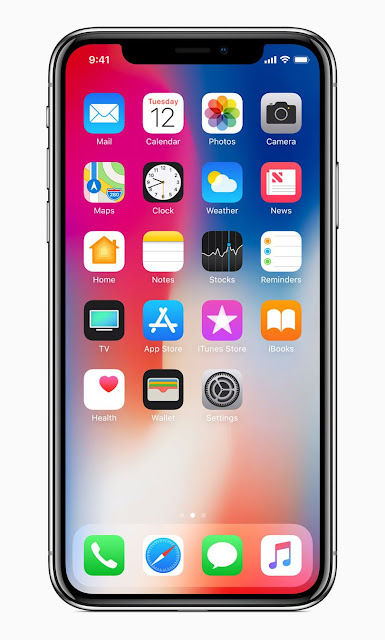 With a finger upward movement on the screen goes to the mobile home considered as the most advanced and expensive Apple smartphone- that will go on sale in the US. on November 3. "The new design of iPhone X is likely to be the standard for the new generation of iPhone models, but Apple will have to face the challenge of getting enough pieces," said Geoff Blaber, analyst at CCS Insight Consultancy. Another expert described as "legendary" the ability of the company to make users spend more on their cell phones than those of rival companies. "There may be an element of price increases to control demand and generate a balance in relation to the number of mobile phones they can produce," said Neil Mawston of Strategy Analytics. "I suspect that Apple always wanted to sell an iPhone for US $ 1,000. We have seen how prices have risen year after year and there is a lot of pressure from shareholders, "he added. Apple acknowledges that users may have concerns about using facial recognition as a method of verification of purchases via Apple Pay or to access the device. To address that resistance the company said that facial recognition present in iPhone X was safer than fingerprinting. So much so that, theoretically, the possibility of another person stealing the user's identity is one in a million. It will be necessary to see if indeed this function delivers the expected results. On the other hand, some analysts have criticized that the iPhone X has not maintained the fingerprint as a second alternative. "This is the biggest obstacle they have for now in iPhone X," said Carolina Milanesi of Creative Strategies. "Many consumers will be a bit reluctant to use facial recognition in iPhone X until it is proven to be safe," he added. Although the iPhone X stole the attention, the company also presented on Tuesday Apple Watch Series 3, Apple TV 4K, iPhone 8 and iPhone 8 Plus. Widely known as the planet’s best Apple analyst on the planet, Ming-Chi Kuo, a KGI Securities analyst is back in the news again, with the revelation that Apple will be making a huge deletion in the new iPhones to come in 2018. A Macrumors report stated that Apple has made a decision to “abandon” the very famous Touch ID fingerprint sensor and it will not be seen in any of the future generation of iPhones. Kuo states that as an alternative Touch ID will be completely substituted by Face ID, a thrilling yet polarising technology that involves facial recognition which will make its first appearance in the upcoming iPhone X. The logic that Apple applies behind this is that it firmly believes it will gain an advantage competitively via differentiation, according to Kuo, who said it will take many years for the Android-based competitors to match it. Nonetheless, this is a huge risk that Apple is taking, especially when the Face ID has not yet appeared on the market and this is likely to be a controversial move for many reasons. First and foremost, even if it works as efficiently as the Touch ID, there are many cases where the physical activity of phone unlocking by looking at it will not be as seamless or subtle as utilising your fingerprint. This comprises of almost everything from trying to align your face to the camera and screen while running or walking, utilising Apple Pay while checking out or even discreetly browsing your phone under the table while stuck in a dull meeting. Secondly, while Apple commits to not accessing your data, Face ID works on the principle of building a thorough 3D model of your face for recognition purposes. So if the concept of your phone gathering your fingerprints was unsettling, then swapping that feature for a digital record of the exact features of your face will not be appealing enough. Thirdly, biometrics works best when used in combination. For example: using a fingerprint sensor while your face is being scanned. Hence Apple’s decision to substitute one with the other does not do much to enhance security over Touch ID, as tests have proved. Face ID is surely a very thrilling technology and in the case of the iPhone X, it facilitates a few great secret features, but there’s no solid reason to completely dismiss the idea of Touch ID. It can be included into the power button, the rear of the phone or maybe even beneath the display and having both the options of Face ID and Touch ID being made available to owners to choose from. Still Apple attempts at thinking different and Kuo says 2018 iPads will see the addition of Face ID but there is no word on it being included on MacBooks and Macs yet. Also, history shows us that Apple is pretty ruthless when it comes to replacing the older technologies with the new and it’s not surprising as these replacements are always justified in the long-run. But while Face ID may match Touch ID in terms of accuracy and speed, there is no solid proof to show that looking at your iPhone to unlock it is quicker or more convenient than using our fingers to do the same. iPhone X vs iPhone 8 vs iPhone 7: Should We Upgrade? The three updated iPhones this year are the slick all-screen iPhone X, the latest iPhone 8 and 8 Plus, made available with wireless charging. How does the latest iPhone tend to differ? The iPhone X has a different appearance in comparison to the other iPhones. It’s more like the Essential Phone and the Samsung Galaxy S8 though with an increase in screen-to-body ratio. On slimming down the bezels and eliminating the home button, Apple seems to have packed a 5.8-inch OLED display in a reduced body than the iPhone 7 Plus together with the iPhone 8 Plus. Towards the top of the display is included an IR camera, for the front facing camera together with an array of sensors - `Dot Projector’ and 1Flood Illumination’. Moreover, Apple has also switched the aluminium frame utilised from the time of iPhone 6 with a glass back though has maintained the comfortable curved edges that are now of `medical grade’ stainless steel on the iPhone X. Regardless of the claim of Apple that the glass tends to be most durable in a smartphone, glass tends to be a fragile material which would mean that the user would not only have to cope with the likelihood of cracking the display when the phone tends to fall but the rear as well. At first glance, iPhone 8 and iPhone 8 Plus tends to look similar to the iPhone 7 and iPhone 7 Plus which seems to appear like the iPhone 6, with chunky bezels together with home button/fingerprint reader. Apple has also included a glass back to the iPhone 8 and iPhone 8 Plus which tends to make it more delicate than its precursors. What is the size of the iPhone X in comparison to other phones? Some users have the penchant to the tiny, easy to use one hand dimensions. 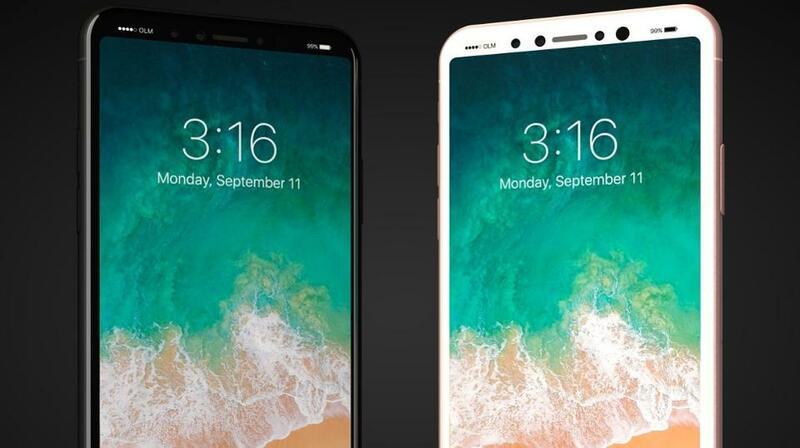 The amazing news is the `no bezel’ design which shows that the iPhone X is somewhat the same to the iPhone 8 than the Plus irrespective of its big screen. With regards to statistics, the iPhone X is said to be about 5.2mm taller than an iPhone 8 though the iPhone 8 Plus tends to be a substantial 14.8mm taller than the iPhone X. Moreover the iPhone X also tends ot be the same size as the Samsung Galaxy S8. How does the iPhone X tends to work without a home button? In order to get to the Control Centre, user could swipe down from the top of the screen towards the left, swiping down from the right side opens the notifications. These are small changes and not too complex. TouchID that are in-built in the home button have been replaced by FaceID on iPhone X tough TouchID tends to remain on the iPhone 8 and 8 Plus. Since the home button has been eliminated from the iPhone X together with the fingerprint sensor by Apple, it has come up with a standby in the form of Face ID which is a facial-recognition security process enabling the user to unlock their phone with their face. Face ID, unlike Samsung’s Galaxy Note 7, utilises the new depth sensing camera of iPhone X for verifying the features which means that it is unable to be fooled with an image, the way the system of Samsung tends to do. It functions by utilising a `Flood Illuminator’, which provides adequate light for infrared camera as well as `Dot Projector’ for firing `30,000 invisible IR dots’ at one’s face. Thereafter the IR image together with the dot pattern is moved through neural networks for the creation of mathematical model of the face and is then matched to a stored 3D model. The information related to facial is protected by same `secure enclave’ utilised by TouchID while at the same time the data processing is carried on-device rather than of the cloud. Apple has stated that its tech is good enough for FaceID to function in the dark and also if one intends to improve on their looks like grow a beard, wear glasses etc. It’s left to be seen if FaceID would be living up to the promises made by Apple. Should we care if iPhone X has OLED screen? 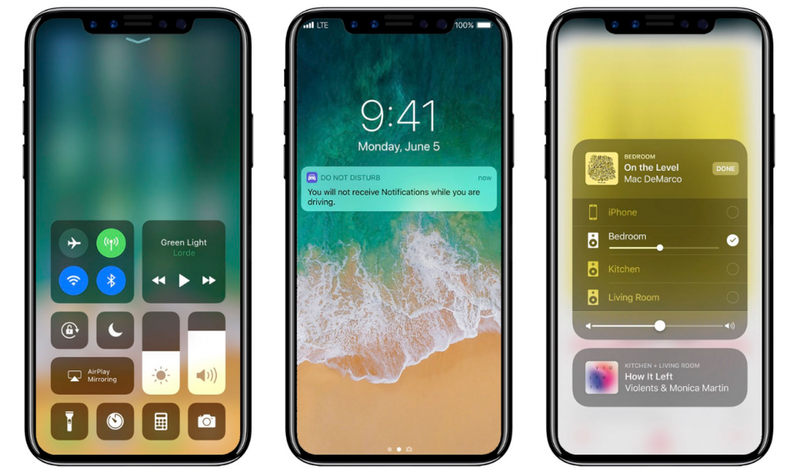 The iPhone X is said to be the first phone of Apple to have OLED display though Samsung had been utilising the same in its devices for several years. Apple’s IPS LED displays utilised tend to be good though OLED technology enables richer colours together with deeper blacks which is owing to the ability of turning each single pixel on or off whenever required. Considering stability, OLED seems to be a good upgrade due to its fantastic contrast of OLED screens which seems excellent for videos as well as photos and this is the reason people prefer an OLED TV. Hence it is good news that Apple has made the switch even though it has come up with this idea a bit late. Are the latest iPhones faster? The iPhone X and iPhone 8 features a new six-core A11 system-on-a-chip –SoC, comprising of four low-power core together with two performances cores which tend to build on 10nm FinFET manufacturing system rather than the 16nm process of A10 Fusion in the iPhone 7. Apple, on decreasing the process, has filled more transistors in a smaller space enhancing the performance as well as the battery life. Apple has claimed that the iPhone X has the potential of lasting for two hours longer on a charge than the iPhone 7 as well as it is 25% faster on performance cores and 75% faster on the energy efficient cores. In the meanwhile Apple has created its own Graphics Processing Unit – GPU for the A11 SoC breaking off with Imagination Technologies. Both the iPhone 8 and 8 Plus tends to have the same A11 SoC like the iPhone X. But the A11 seems to be a tough sell if one is a user of iPhone 7 and are also new to the features. New reports have come up regarding problem that no software update would be capable of fixing the complaints of static cracking sound coming from the earpiece of iPhone 8 users. With the recent release of the iPhone 8 and iPhone 8 Plus, two different cases have been exposed of the splitting open of the phone. An owner of the iPhone 8 Plus in Taiwan had stated that her phone had opened up, shortly after it had been kept to be charged. As per local media, Ms Wu, who had purchased her 64GB rose gold phone, Ms Wu, five days earlier, had plugged the device in her charger and three minutes thereafter the the panel towards the front area had started to bulge and had given way. She had been utilising the appropriate Apple supplied charger cable together with the adaptor during the time of charging. She had shipped over the split phone back to Apple in order that the experts could evaluate the strength of the damage and determine the cause for the same. 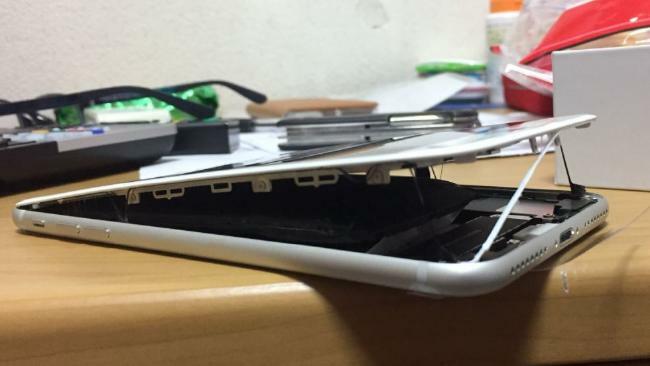 Another report of the iPhone 8 busting open had come from Japan with Twitter user @Magokoro claiming that his phone had been broken already when he had received the same. The images which had been posted to Twitter seemed to portray an iPhone 8 Plus that had the front panel somewhat separated from the phone. The next day, more images of the phone had been posted portraying the damages had got even worse with the screen almost totally moved away from the body of the device. This is definitely not the first time Apple faced problems with one of their latest models. With the release of the iPhone 6 in 2014, there had been several reports that the phone had been vulnerable to bending, which resulted in the hashtag #bendgate trending on social media. As per The Next Web, there had been unverified rumours on the battery which had been utilised in the latest iPhone 8 had been built by the same company which had made the battery for Samsung Galaxy Note 7 and Samsung had to recall after various rumours of explosions. Some related that the damage caused to the iPhone 8 seems to be consistent with swollen battery though Apple has still to make an official announcement regarding the matter. Though some of the users have been fast in labelling these instances as #splitgate, they have probably been too quick to jump to conclusion. No visible burn marks has been located on the iPhone 8 which may provide any indication of an explosion similar to the one experienced with the Samsung Galaxy Note 7. Moreover, any phone which has been manufactured as well as distributed on a massive scale would definitely include some of the defective models. One would probably not wake up to find out that the new iPhone 9 has split up, till Apple intends to resolves the issue or more cases similar to the earlier two reports, may probably come up. The upcoming iPhone 8 of Apple will be coming with various new technologies to its users and one of them is a mainstay of several Android handsets, namely wireless charging. However, the implementation of Apple will be disappointing to those anticipating for the accepted protocols to be acknowledged. Tim Cook together with his team are expected to lock the iPhone 8 from utilising Apple’s own wireless charging units or the charging units which tend to adhere to the `Made for iPhone’ – MfI program that involves financial payment to Apple from the third-party dealers. Earlier in the year, when Apple had merged with the Wireless Power Consortium, there seemed to be some expectation that it would adopt the industry standard Qi charging protocol. According to reports from Macotakara, recently recommend that the wireless charging utilised by Apple would be running at just 7.5 watts. In comparison to the 15 watts that makes up the Qi 1.2 standard. Moreover, it also recommends that the third-party charging pads would require to be licensed through the MfI program. This would clarify in fragment why wireless charging would not be available out of the box rather than waiting for iOS 11 software update to turn on. Undoubtedly, part of the iOS charging process would be to verify that the pad providing the inductive power is said to be licensed by Apple and if it is not, the iPhone 8 will decline to receive the incoming charge. The outcome is that the plethora of charging pads together with the accessories presently available in the markets which tend to be interchangeable with any device that supports the Qi standard would be unable to charge the new iPhones 8. Apple had intended not to work with the increasing and accepted standard, rather than decide to put up a technological barrier between the charging community together with the iPhone, for instance, the swelling number of public `wireless charging’ spots from companies like AirCharge would be unable to get along with the latest device of Cupertino Company. Once again Apple had opted to capitalize on the financial returns for its company while ignoring the greater good of endorsing a single standard. Though it is appropriate within its right in doing so, the end result tends to give an impression of company which is closed to the wider acceptance of shared technology, is not open to equivalent collaboration. Moreover it has not considered the extra manufacturing resource which would need to assist two competing standards. According to New York Times, the iPhone 8 would be come at an entry-level of $999. Media reports for last few months have repeatedly endorsed that the iPhone 8 would be selling in the $1,000 approximate and it appears that Apple would be keeping the price just $1 under this mark in an apparent marketing strategy. Since Apple will probably deliver three storage tiers with the iPhone 8 generation, it would mean that the most expensive model would be priced at $1,200 and this would surely be a big price for a cellphone. Apple need to firmly deliver an outstanding iPhone 8 unit if it is to validate such a figure. The home button of your iPhone is no longer what it is supposed to be? Or does it work in the worst case scenario? Is at first glance looks like a hardware defect could have been superfluous after a simple calibration of the home button. 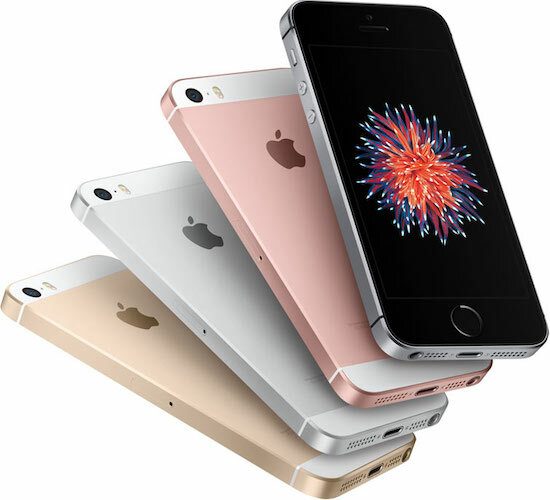 Unfortunately, it is synonymous with the expensive Apple iPhones despite high quality always times again to hardware problems. For example, it is a known problem that a broken on / off switch often makes anger on the iPhone. Thus, the button initially only shows its function and can only be used by pressing in the left area. After some time, the power button on the iPhone will not work. Many users also complain that the Home Button only works badly or not at all. However, all these problems can be handled with a simple trick. Before we look at how a calibration of the Home Button works, we would like to point out that this instruction has not been officially confirmed by Apple. However, many iPhone users have reported in various Internet forums that this route has actually led to the desired success. As a first step you open any pre-installed app on your iPhone, like the weather, share or calendar app. Keep this app open for the next step, making sure your iPhone does not lock automatically. Now press the power button until the power switch (do not turn off the iPhone). Now you keep the Home Button pressed down until the power off screen disappears and the app is closed. You should now be back on your Homescreen and the home button of your iPhone should be calibrated again. If the calibration does not work, you can do the above steps again if you think you have made a mistake. Apple offers on each iPhone the possibility to activate a virtual control button, called the Assist Touch. This way you get not only a virtual home button or a virtual on / off switch on your iPhone, but can also call other functions quickly via this button. After activating the AssistiveTouch button in the settings under "Operating aids", you can now use the bypass switch by pressing the button, select "device" and then "screen lock". The home button can be selected and simulated directly using it. The AssistiveTouch button is slightly transparent and is always visible in the foreground even when you are in an app. However, the button can be pushed back and forth at will, in some cases, the button is also intelligent and notices, if it is in the way and automatically shifts. If it is above the keyboard. Even multi touch gestures can be carried out via the AssistiveTouch button. A known problem with the Home Button of the iPhone is that it may move with the time minimally downwards - then one can hardly navigate through the menus with the smartphone. This defect can be fixed with a little fingertip feeling and with the dock connector cable of the iPhone. Connect the cable and push it gently upwards towards the screen so that the button is pushed back into the correct position. Experience shows that this is the most frequent way of repairing the home button. Contaminations can also be a problem for the home button - in this case you do not have to repair the button, cleaning can already be sufficient. For this purpose, there are several repair kits, which many iPhone owners swear by. It contains a special cleaning fluid that is applied to the button with a pipette, then the Home Button has to be pressed several times and pressed for a few minutes. Finally, you should leave the smartphone still 15 minutes to rest, as a rule, the stains are removed, and the Home Button works again. An alternative is the handle to the electric toothbrush. Just press the Home Button and clean it with the brush, it also comes into the fine spaces. Important: Use an unused brush head so that no toothpaste residues penetrate the iPhone. If a cleaning is not successful, the key must be replaced. The spare part is available online, you will find detailed instructions for installation also. However, the repair is only recommended if you have some fine mechanical skills and technique. Otherwise, its better give at Apple store for repair. According to leaked information, the wireless charging feature of Apple’s iPhone 8 could be sold as a separate accessory. An Apple expert, John Gruder had mentioned that the iPhone 8 would operate with a wireless charger though would need an additional accessory for functioning. Leaked images on the Chinese social media seemed to endorse that Apple has been working on a wireless charger much ahead of its release of the iPhone 8, next month. 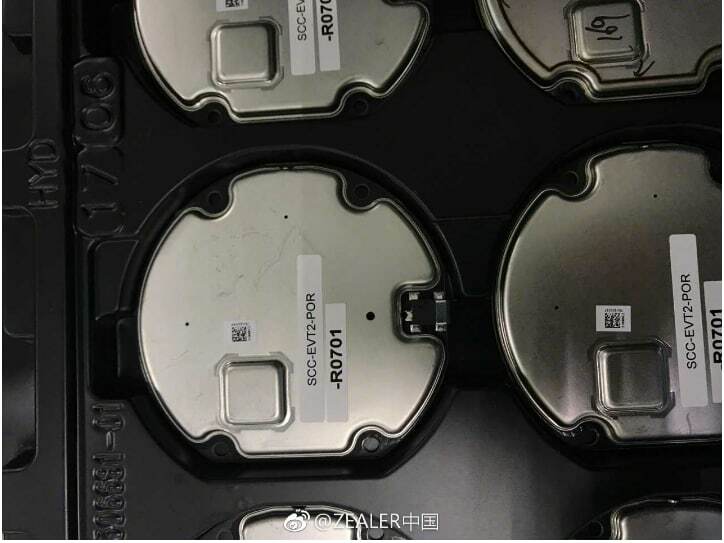 The charging pads portrayed in the images are likely to be designed for the iPhone 8 though will be sold separately. Moreover they would also work with two other devices possibly known as the iPhone 7s and 7s Plus. Competitor Android smartphones like the Samsung Galaxy S8 tends to have featured wireless charging for several years. The iPhone 7 probably could be the first phone of Apple to comprise of the technology which will permit users to power-up their device without the need of plugging it in by engaging it on an inductive surface. According to reports, the images of the wireless charging pads are said to have appeared on Chinese social media platform – Weibo and their validity cannot be confirmed. But various reports regarding the iPhone 7 have recommended that wireless charging would be implanted in the phone. Robert Hwang, chief executive of Apple supply chain company Wistron, had earlier this year, revealed that the iPhone 8 would be coming with wireless charging and water-proofing. He had informed that new features like waterproof and wireless charging now needs some various testing and waterproof function would be changing the assembly process to some extent. Lead Dubzinski, Powermat CEO had stated that wireless charging would be a standard feature in the next iPhone. 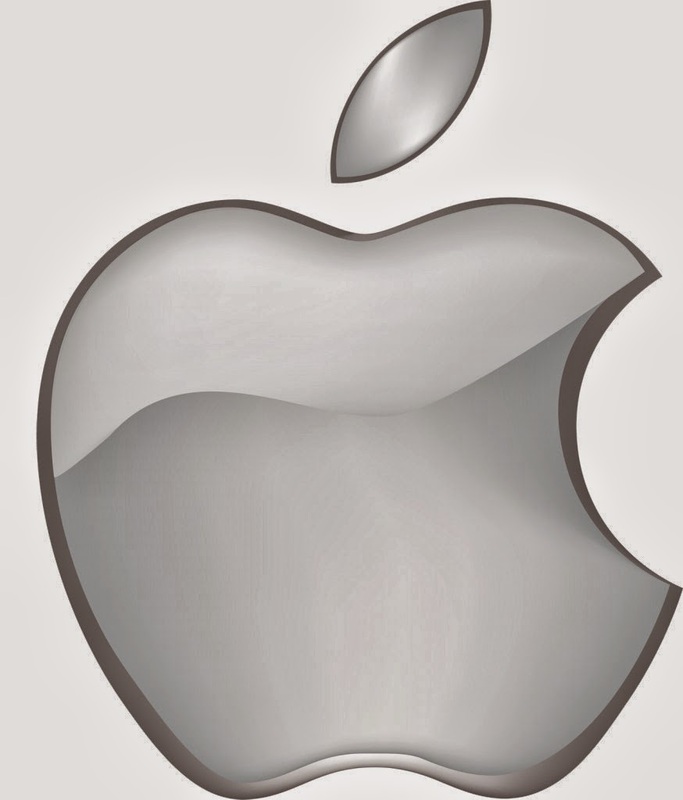 A separate report has claimed that Apple will be utilising the Smart Connector for wireless charging. 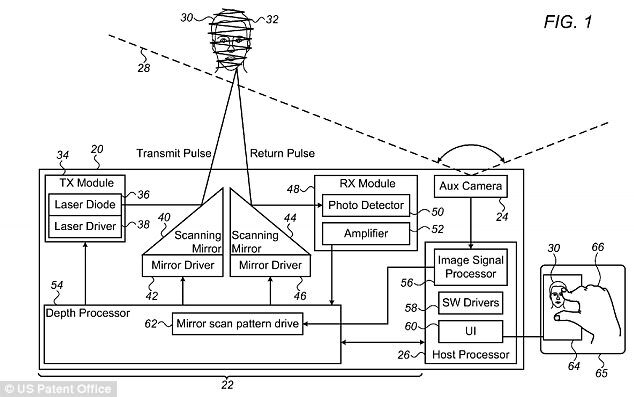 Apple had earlier filed patents for charging smartphones utilising Wi-Fi signals. However, it seemed that the company would be choosing the inductive technology instead of the signal method for the iPhone 8. The iPhone 8 if so named has been reported to comprise of an OLED screen, wireless charging, facial recognition, an edge-to-edge display and for the first time, no home button. It will probably be released in early September on 5th or 6th either Tuesday or Wednesday, since the Monday tends to be a US holiday. In a tweet last night Gruber had explained that he had heard that inductive charging would be sold separately from the iPhone itself something which various other reports had claimed. He also mentioned that the new charging technology could be late and would not launch till iOS 11.1 is released. Gruber compares the delay of wireless charging to the delay of Portrait Mode with the iPhone 7 Plus. While unveiling the device on stage, Apple had shown Portrait Mode but had not really made it available to the public till the release of iOS 10.1 device a month thereafter. Though at some point of time it had been rumoured that the iPhone 8 would comprise of some type of `long range’ wireless charging, recent rumours have instead attached the feature as inductive charging. Leaked images have hinted that the iPhone 8 would comprise of wireless charging competences depending on the Qi technology. The 3.5mm headphone jack on the iPhone 7 has been stopped by Apple and the chances are bleak of the same returning on the iPhone 8 and what users having nice wired headphones ought to do? Probably they could utilise the Lightning-to-3.5mm adapter that tends to come shoved with the 7, though it is far from an ideal solution. It is said to be one of the lowest rated products on the Apple’s site with 209, one and two star reviews. The customers of Apple tend to disapprove of the adapter. The iPhone 7, with FijO.s nifty i1 headphone amplifier together with the digital converter, iPhone 7 users tend to have a better choice. It comes at a price of $39.99 on Amazon in the U.S. and in the UK at £49.99. The Australian price is not fixed though one could expect the same for around AU$80. 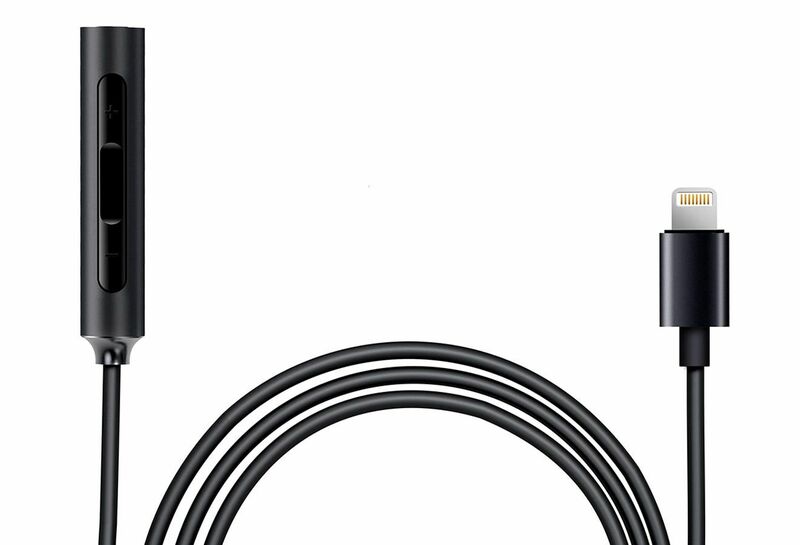 Comparing the two adapters, of FijO and Apple, beginning with a Sennheiser Momentum 2.0, the i l’s bass definition packed down equalled with the adapter of Apple. The drums and vibes with `Pink Up’ from Spoon’s `Hot Thoughts’ album tend to have plenty of reverb and the i l seems to sound much clearer than the Apple adapter though lot much but with a difference. When plugged in the Beverdynamic T51p on-ear headphones. The changes observed were quite obvious. Moreover the Apple adapter seemed to sound muted as well as dull and the i l was said to have more life and energy. The i l had also been tried with some in-ear headphones with the Ultimate Ears UE900 where the difference of the quality of the sound seems only a bit insignificant. It was not all convincing that i l is a big adequate sonic upgrade over the Apple Adapter with each headphone. But the good news is that considerably improved sound is made available from the AudioQuest DragonFly Black - $99, £89, AU$160, and DragonFly Red - $199, £169, AU$320, portable headphone amplifiers/digital converts which tend to function with iPhones. The no-win situation is they are the size of a USB flash drive and hence they tend to be bigger and much bulkier to carry around than the i l.
The i l cable is said to have a mic together with the inline controls though the quality of the sound seems to be a bit stifled. There have been occasions where initially the i l had not played music but on unplugging and replugging once of a couple of times, the Lightning connector seems to bring back the sound. The Lightning does not seem to be the most reliable connector for audio devices. The 32-inch cable of the FijO i seems to be too long and could be half the length. However as it stands, it could be a viable alternative for iPhone users who tend to have decent pair of wired headphone and would prefer something a bit better than the less-than-stellar Lightning adapter of Apple. Hoping that improved adapter does ultimately show up though presently the iPhone 6S may run through which has a 3.5mm headphone jack together with the Lightning connector. New rumors about the next Apple smartphone: In addition to the expected iPhone 8, there could also be an iPhone 7s and an iPhone 7s Plus - with subtle differences. It is the usual game in the weeks and months before the release of the latest iPhone. Professional bloggers, self-styled experts, alleged insiders and also serious media speculate how the new Apple smartphone will be, as it is said, and what features are expected. So it's 2017 again. At the heart of the speculation is the generally expected iPhone 8 - if that is the right name. Because so far, Apple only increases the model number by a number every two years. So 2017 would actually be an iPhone 7s in the line. But maybe there are even both? According to the specialist, referring to the Wallstreet Journal, Apple wants to bring out two other models, which are traded as "iPhone 7s" and "iPhone 7s Plus" in addition to its new flagship. Three at a time could be so in September - if that is the correct release date. How does the iPhone 7s look - and what features does it bring with it? In fact, many indications for the new iPhone point to a new design. Apple's proprietary patents suggest, for example, that the display will be completely borderless. This means not only a larger display with the same or nearly the same overall size of the device but also that the home button could completely disappear. The entire screen could then become a fingerprint sensor. The release could also be possible - even speculations - but also by facial recognition. A 3D laser scanner could come into play. According to the WSJ report, the Lightning adapter could also have some changes. The Apple may possibly replace with a USB-C connector - as it has since 2015 with Macs. This could simplify the connection of additional devices to the iPhone - but would also have the consequence that Lightning would be replaced again after five years. Better battery in the iPhone? The next iPhone could get along without a charging cable. Apple analyst Ming-Chi Kuo from KGI Securities claims this - and with his forecasts in the past has often been correct. For the wireless, Apple would have to rework the design of the inner life of the iPhone - but this should be without great difficulty. Perhaps then also a slightly larger and thus more powerful battery on board the new iPhone would be. That Apple disciples much more frequently than other mobile phone owners are looking for a socket, is well-known. As it is well known, in the case of (branded) products in the tech sector, the brand, as well as the patents and development costs of the manufacturer, are to a considerable degree. The pure material costs are pushed by the Far Eastern mass production. A recent evaluation shows how expensive the iPhone 7 is in production. The analysis of the market research company IHS have looked at how expensive the new iPhone models are purely on their components and the production is reduced. 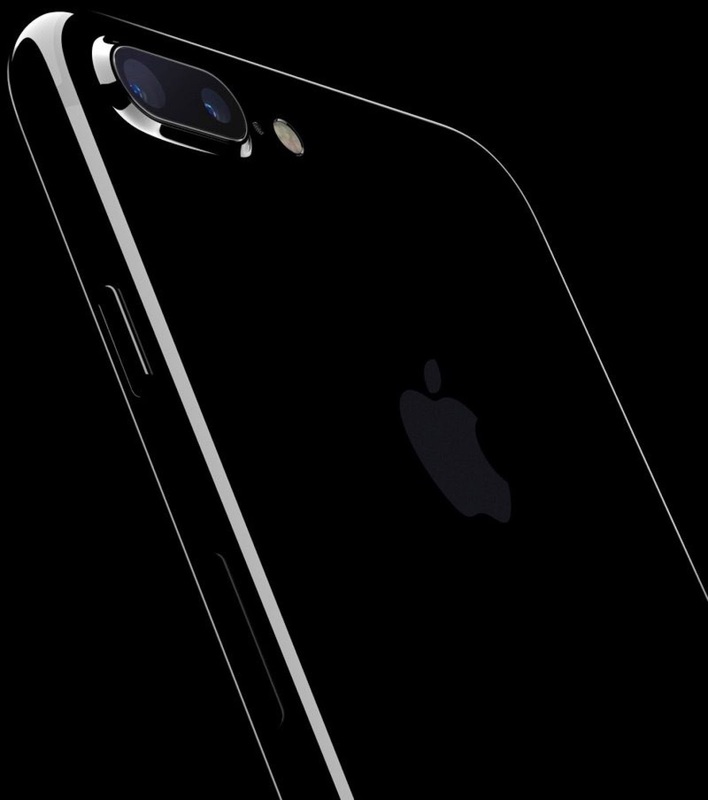 The result: The iPhone 7 costs in manufacturing 219.80 dollars per unit. The iPhone 7 Plus is five dollars more expensive. It’s really frustrating to watch the phone battery down with no charging port in view. Luckily there are some smart ways which can help in saving battery or to be more precise prolong the battery life across the smartphone regardless the make and manufacturer. A smartphone expert from smartphone firm called Three has given out nine effective tips to enhance battery life on the smartphone. This also means that from now on you wouldn’t have to worry charging the device overnight to get enough juice to last next day. Now follow these exciting tips in your everyday life. Turn off the auto-brightness and control it manually as per your requirements. Auto-brightness is notorious for getting away with considerable amount of battery. When you perform heavy duty task on your phone like gaming or running power hungry applications then it gets hot. Phone also gets hot when you are charging and playing games simultaneously. It is advisable to give the phone some rest and let it cool down before you use it again as this helps in saving the battery drain. Nowadays phone comes with high quality display which is also notorious for draining the battery. It is better to change the screen resolution in order to save the battery and this feature is only present in some of the modern devices from manufacturers like Samsung and Huawei. If you don’t need GPS then it is better to turn it off and save the battery. The best way here would be to turn on the battery saving mode which helps in utilizing the wifi and mobile networks only for the location fetching purpose. It shouldn’t come as a surprise that the notifications and vibrations also tends to drain battery life. It is better to set the notification light and do away with the vibrating and ringtone based notifications for once and all. Having a high screen time out is certainly not a good choice if you want to have a longer battery life. Just set the screen time out in between 15 to 30 seconds and this will ensure that your phone turn off quickly when not in use. Get rid of the bloatware and unwanted apps which every smartphone comes pre-loaded with. It has been found that these kinds of apps tend to run in the background using up the device resources and battery in the process. Just uninstall or disable them and if you need them back then you can downloaded it again from the app store anytime. Ever heard of battery bank or battery cover? Its high time you start investing one of the such commodity as these cases are designed to enhance the battery life. .If you really need a lot of battery to go through the day then opt for smartphones with massive battery like Lenovo P2 which comes with a huge 5100mah battery. Utilizing these smart steps you will be able to get more juice out for a battery life instantly. Since the time of its invention, Apple products have always soared high and above and will continue to do it. With the market being competitive and lot of new launches, iPhone still is one of the highest selling phone worldwide with its customers ranging from everyone class and country. iPhones have developed a lot over the years with upgraded versions released every year. The latest product, iPhone 8 too holds a lot of expectations and speculations. iPhone 8, like the other iPhones will have various versions and differences in its updates. Particularly its screen features and security features. Losing this gadget might be bit of a task with the multi layered security features it offers. According to a lot of rumours, iPhone 8 may omit the fingerprint feature and add face recognition or camera sensing for the phone. It would definitely be a revolutionary update for the gadget. There have been speculations of changing the screen technology too and make it more advanced, however the wait might be a little long. It would be worth the wait though. The new face recognition feature apparently works really fast and smooth, strengthening the security features of the phone by three folds. Another exclusive feature Apple OS introducing is OLED. This would mean the screen would be more advanced, colourful and better graphics. Mostly every iPhone to be released will have this feature. 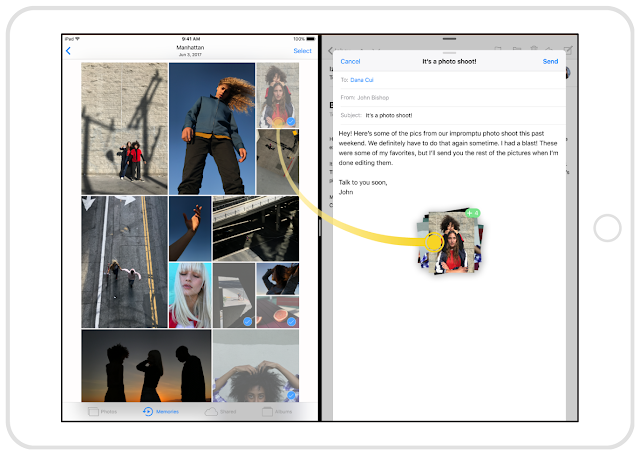 It is another advancement towards Apple’s adventure. The next update would be coming from the news app by Apple. Now publishers have the freedom to post their own ads on the news app, making it more user friendly and flexible. This would leave to newer and broader perspectives and opportunity of more competition and advancements for other companies too. Apple products, specially the latest in the queue, iPhone 8 has a lot of surprises in store for their customers with updates which may leave people astonished. The surprises will hopefully be for the better and worth the damage done financially. The legendary technological inventions- Apple has tough competitors but it doesn't seem to be of the type which would lose the game so soon. Instead it will attack back with better plans. The newest addition of face recognition is perhaps the best. It will create the usual excitement among customers who are eager to explore the new features and own the smart gadget. iPhone 8 will have state of the art technology and updates and of course the superior camera features that it boasts of since its invention. Apple will keep progressing and even though the prices may soar, the people who are regular iPhone fanatics will do invest in buying them with blind faith. After all, the features do get better with time and last a long-lasting life. iPhone 8 and Its Magnanimous – Revolutionary Release! iPhones are such gadgets, which continue to hold the hit-list of almost all the individuals. Everyone wants to own an iPhone 8. What is the latest model launched by iPhone? Is a question which everyone looks forward to. There is a buzz in the market regarding the freshest model of iPhone, i.e., iPhone 8. Rumors regarding iPhone 8 are many plenty and everyone is awaiting this model to be launched in the market. The news is such that, this would be the most affordable model launched till date and that too with no compromise in terms of features or smartness. Steven Milunovich, who is an analyst in global financial services, USB, claimed that the price of iPhone 8 would be same then that of iPhone 7. Generally, with every new launch, a hike in price along with features is expected, but this time the scenario would be a bit different. You will get a swoon of features and privileges of using an Apple’s product, but it would be in your budget. This news has left the expectators much more inquisitive regarding the unveiling of iPhone 8 as early as possible. Everyone is eagerly waiting to grab this affordable venture of Apple at its earliest. The expected price is that the price of iPhone 8 will start from $850 which is subjected to change. Photos of the product has been leaked and all the gadget freaks are after every stunning angle ofthe product. The trendiest tech is about to bewilder all its expectators with its chastising look. Apple has said to launch the gadget in September 2017, but the launch of the product is expected to be not before October 8 and this news is confirmed by Steven Milunovich. Apple seems to believe in arousing interest among its buyers, and that is the reason why it has not disclosed all the features of the product. But some of the features are leaked which suggests that iPhone 8 will explore itself with a curved screen and 3D camera. These two features are enough to arouse interest even amongst those who are not much concerned about iPhone and its latest version. Thus, iPhone 8 is again expected to bring a new revolution in the field of smartphones with its scintillating looks and extra-ordinary features. The launch will undoubtedly make everyone crazy that too in a much pocket friendly way. The revolution is sure to enrapt everyone. This time all who resisted themselves from buying iPhones because of its scorching price can now heave a sigh a relief and can expect to enjoy the privilege of holding the ultimate smartphone that too in its newest and trendiest model. iPhone 8 will change the status quo associated with iPhones, where almost maximum will be able to live their dream of owning an iPhone. The news has created so much interest among the buyers that even a month of delay seems too much for them.